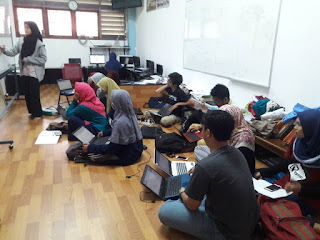 Makassar, Learning Software is a working program that initiated by Research and Competition (RnC) division. In this first series of Learning software, the software that we learned is Matlab. 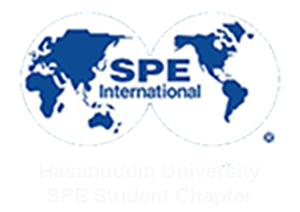 Ms. Dewi Rahma Ahmadi is the speaker in this agenda. We divided this agenda into 2 meetings. The first meeting was held on March 25th 2018 and the second meeting was held on April 1st 2018. In the first meeting that being held at 14.00 – 16.00 WITA in Geophysics Lab, Ms. Dewi Rahma Ahmadi taught us all about the basic tools in Matlab Software. The second meeting also being held at 14.00 – 16.00 WITA in Geophysics Lab, she taught us about linear regression. This meeting was more practical than the first meeting since Ms. Dewi Rahma Ahmadi gave us many example and task that we need to solve between her explanation. 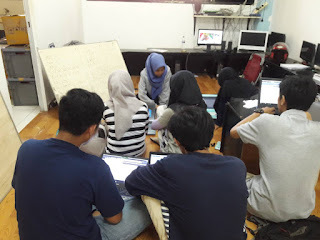 Riana Trisartika, one of the participant said that this agenda is really helpful to her especially in her academic sector since she used this software to work in her university assignments. She hoped for the future, from this agenda she can learn another softwares that she did not get in the university lecturer.